U.S. troops defeat natives defending their land in the Battle of Tippecanoe, after Tecumseh and his brother Tenskwatawa (The Prophet) had persuaded various tribes whose lands were being seized by white settlers to join in a united resistance. Abolitionist editor Elijah P. Lovejoy (1802-1837) is murdered by a pro-slavery mob in Alton, Illinois. Mobs had destroyed his printing press on two previous occasions in an effort to silence him; this time they make sure by killing him. Slaves aboard the ship Creole revolt. The Creole was transporting slaves from Virginia to New Orleans. Slaves on board take over the ship and take it to the Bahamas, a British territory where slavery has been banned. 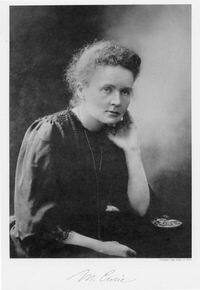 Birth of Marie Sklodowska-Curie (1867-1934), a physicist and chemist known for her work on radioactivity. Curie becomes the first woman to win a Nobel Prize, and is the only person ever to win two Nobel Prizes in different sciences (physics and chemistry). Despite her two Nobel prizes, the French Academy of Sciences refuses to accept her as a member because she is a woman, while the right-wing French press reviles her as an atheist and a Jew. Propaganda of the Dead: Spanish anarchist Santiago Salvador throws two bombs into a theatre in Barcelona, killing twenty people and injuring scores of others. He believes in the then-popular anarchist concept of ‘propaganda of the deed’ according to which anarchists can spur the masses to rise in revolt by engaging in acts that display the moral superiority of anarchism. Birth of Albert Camus (1913-1960), French writer and philosopher, opponent of totalitarianism and capital punishment. The October Revolution in Russia (October 25 according to the old Russian calendar in use at the time). For several weeks Bolsheviks and ordinary workers, soldiers, sailors, and peasants have been carrying on extensive campaigns of agitation throughout the country against the Provisional Government, which is determined to keep Russia in the war. When the Provisional Government attempts to shut down the Bolshevik newspaper and take over the headquarters of the Bolshevik Central Committee, Red Guards and soviet workers take control of bridges and key positions in the city, including the power stations, the central telephone exchange, the General Post Office, the State Bank, and major government buildings. 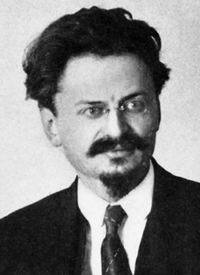 The Revolutionary Military Committee then publishes a manifesto proclaiming victory.